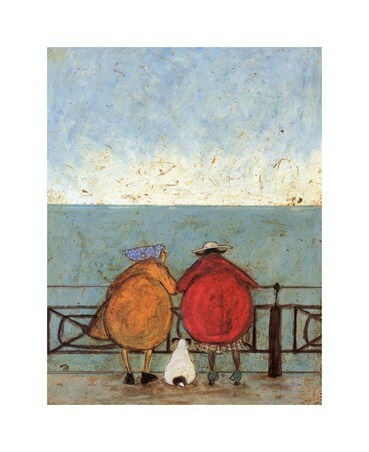 Art Print: The delightful world of 'Mr and Mrs Mustard' is the focal point for much of British Artist Sam Toft's work. 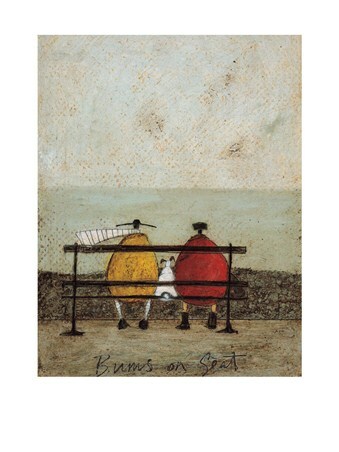 Whether 'Ernest' and 'Violet' are strolling along the beach, on holiday or even cycling (as pictured here) 'Mr Mustard' always wears that yellow coat, his stripy socks and scarf too. 'Doris' the dog is never far behind either and in this picture, they have been painted on one of their days out cycling on their tandem in the park, past the flowering trees. 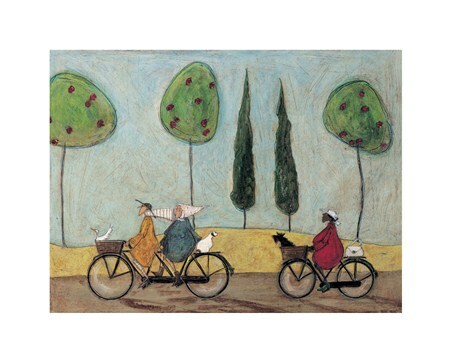 Today, they have been joined by the lovely 'Mrs. J.B. Macaroni' and her cute black dog 'Precious No. 7'. 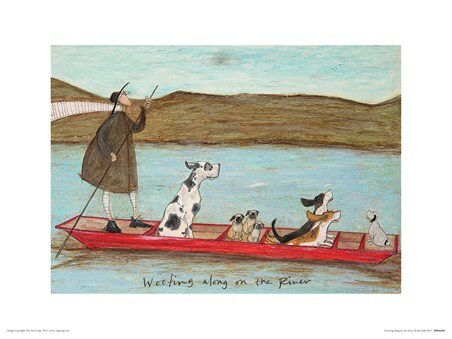 See if you can spot 'Horace' the duck too! 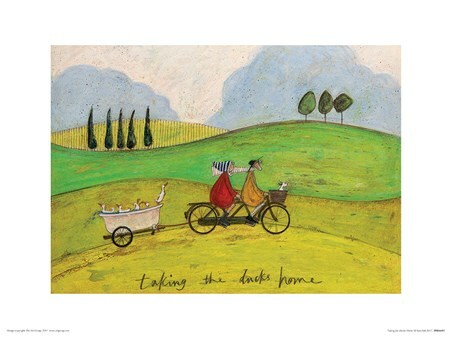 A beautiful art print created by one of the most loved British illustrators. 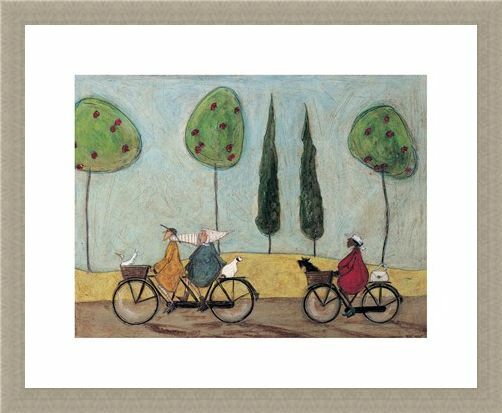 High quality, framed A Nice Day for It, Sam Toft print with a bespoke frame by our custom framing service.